German artist Ulrike Arnold has travelled throughout the world to work at remote sites often associated with ritual or magical properties. 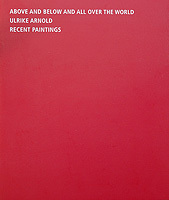 Paintings from and photos of the desert of Atacama by Ulrike Arnold. and diary notes by Ulrike Arnold. An edition of 1000 is printed. 128 pages, softcover. An edition of 1500 is printed. 62 pages, softcover. German artist Ulrike Arnold has travelled throughout the world to work at remote sites often associated with ritual or magical properties. Her materials are the stones and earth she finds there. For the Amanresort “Amangiri” in Utah, America, she created huge canvases. The book “Earth” shows great photos of the process of creating these earthpaintings in front of “broken arrow cave” nearby the desert-resort. 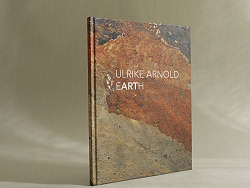 Photos by Anselm Spring and Ulrike Arnold. Text by Professor David Galloway, Matthias Baermann, Diarynotes by Ulrike and a forward by the investor Christoph Henkel. An edition of 1000 is printed. 55 pages, hardcover. 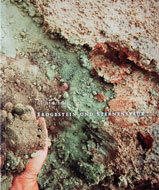 The two catalogues are available by the artist for the price of each 18,- Euro.